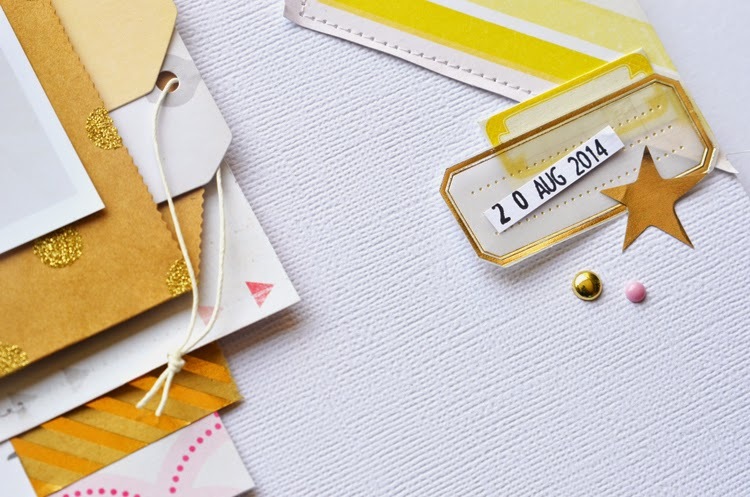 Today I am sharing my latest layout which features the stunning Notes & Things collection by Crate Paper. This collection just had me right away and I couldn't help but purchase the papers and coordinating embellishments. Other: Sewing Machine, white thread, date stamp, black ink. It was recently featured in the 'gold foil' gallery of Jot Magazine Issue 8. 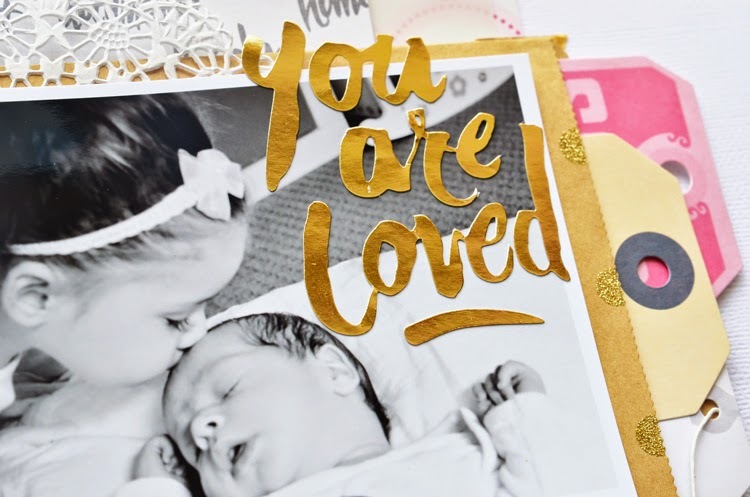 It's a layout all about how loved my little ones are not only by Clint and I but also how much my daughter loves her baby brother. Such a gorgeous page! I love all the bits and dimensional layers peeking out. 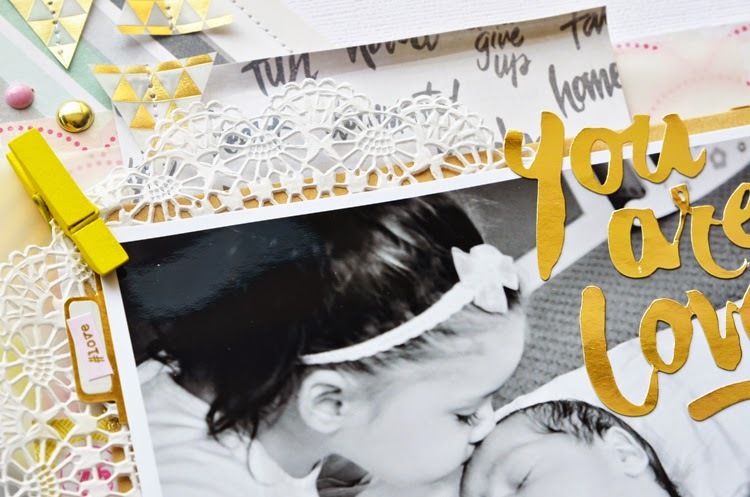 The little triangles of gold triangle vellum are just perfect!